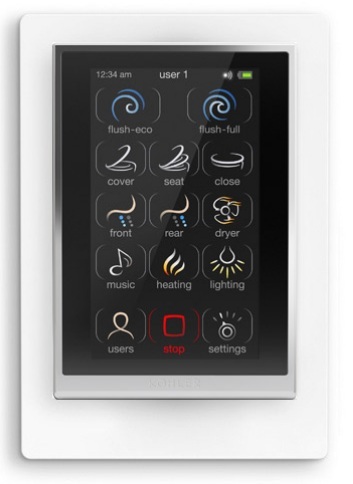 Introducing Numi, Kohler's most advanced toilet. The Numi toilet combines unmatched design, technology and engineering to bring you the finest in personal comfort and cleansing. From its striking form and features to its unrivaled water efficiency, the Numi toilet marks a new standard of excellence in the bathroom. This bad boy is motion-activated and comes with a bidet, dryer, heated seat, feet warmer, illuminated panels, deodorizer, even its own sound system. And all of that is controlled with a touch screen remote (that you may want to disinfect once in a while). Only $6,400? I think I'll get one for the living room, too!